Never again will an historian have access to such a wealth of primary sources. 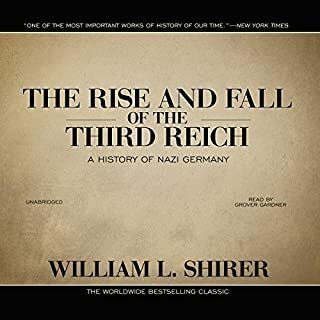 Exhaustive and definitive, Shirer's The Rise and Fall of the Third Reich is an extraordinary achievement. Grover Gardner's performance is, well, godlike. I'm in awe at how he navigates this dense text and engages the listener in Shirer's epic story. Like the book, this reading raises bar. In the years since 9/11, it's been voices like your own that have provided me hope. Your book offers the nation's leaders insight as to why we find ourselves flailing around this desert then that. I hold-out little hope that this generation of leaders will take heed, but I think that the next generation gets it. 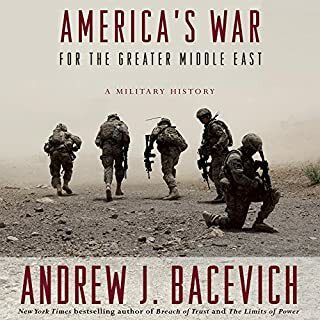 It's my hope that "America's War for the Greater Middle East" will lay the groundwork for a safer, honorable future. How have our rights to privacy and justice been undermined? What exactly have we lost? 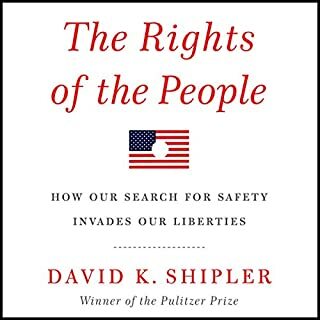 Pulitzer Prize-winner David K. Shipler searches for the answers to these questions by examining the historical expansion and contraction of our fundamental rights and, most pointedly, the real-life stories of individual men and women who have suffered. Provides great insight into how far we have strayed from our founding principles. Also beautifully written. Highly recommended.